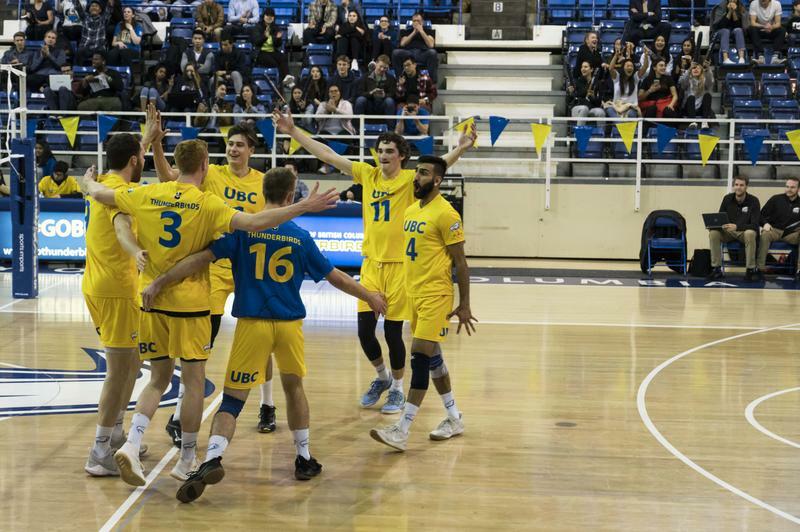 After a semifinal loss to the Alberta Golden Bears last week, the question of the UBC men’s volleyball team’s place in the national championships was up in the air. They needed to win against the Winnipeg Wesmen in the bronze medal match to book their ticket to the U Sports championships — they did just that on Friday night. With a 3-1 match win, the T-Birds solidified their place in the national tournament. 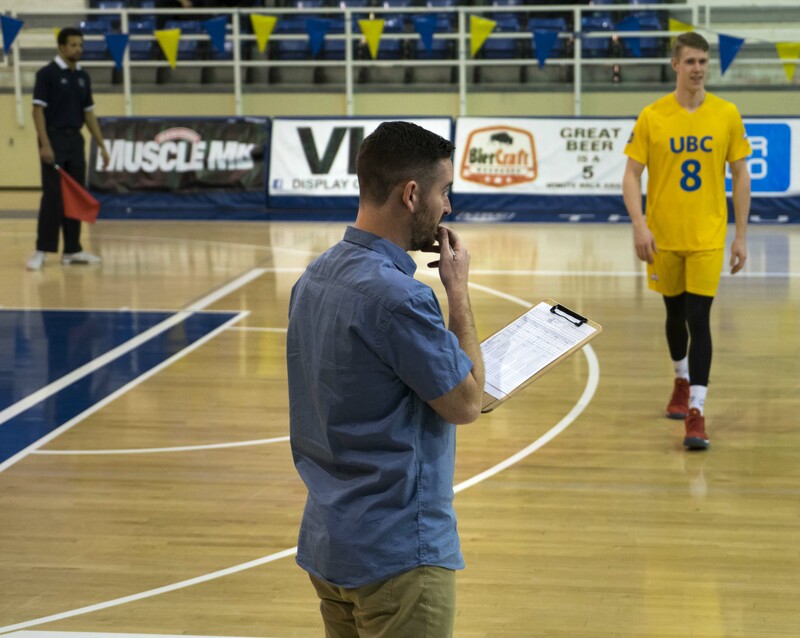 For UBC head coach Kerry MacDonald, the victory showed the Thunderbirds' potential to make a real run at U Sports gold. Clean, error-free gameplay gave the T-Birds a 16-12 lead midway through the first set. Thanks to a collaborative effort from Keith West, Joel Regehr and Irvan Brar, the T-Birds were able to reach their game-high tally of 17 kills. A well-positioned and efficient offence helped UBC balance out some service trouble, finally giving the Thunderbirds a 25-17 set win. The T-Birds continued their dominance in the second set. Veteran Byron Keturakis was key to UBC's success in the frame, as he opened up the middle of Alberta's zone with diverse setting plays. 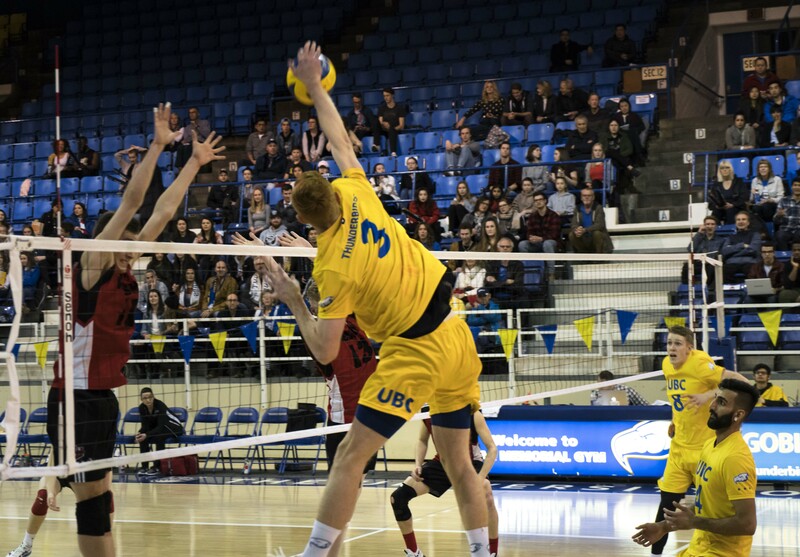 However, midway through the set, the serving woes again proved UBC’s biggest opponent, as some errant serves gave the Wesmen an opportunity to get back into system. Winnipeg would take advantage of UBC's lapse in focus, tying up the score at 19-19 and forcing the Thunderbirds into a point rally. The two teams traded point until 26-26, when Jordan Deshane finished off the with a powerful service ace for the 28-26 win. Feeling the pressure in the third, the Wesmen made an aggressive comeback with improved attacking efficiency. Together, Winnipeg put up a 35 per cent hitting percentage. Under the offensive onslaught of the Wesmen, the T-Birds fell to a game-low 11 per cent hitting percentage and lost the frame 25-20. Stepping into the fourth and final set of the game, the T-Birds turned it back around. The Thunderbirds reached their game-high hitting percentage at 60 per cent compared to the Wesmen’s 38 per cent. That said, Winnipeg kept UBC on their toes, taking them all the way to 20-20 as they exchanged points — but it would be all Thunderbirds from there. A decisive kill from veteran Keith West opened up a five-point run for the home side. Finally, with a kill from the middle of the court by Deshane, the Thunderbirds completed their last home game of the year at 25-20 and claimed their place in the national championships. Post-game, West was awarded the player of the game. He led the team with 18 kills, followed by Brar with 11 kills and McCarthy with 10 kills. For the fifth-year team veteran, he credited his team in his success on the night. “My goal tonight was to bring as much energy as I could to make the most of what could potentially be my last game. I think our whole team played exceptional tonight and a lot of balls came by way just with the match-ups we had ... I was able to find a lot of open court." UBC will now head to Hamilton, Ontario for the U Sports championships at McMaster University in the final Canada West berth. The tournament is to start on Friday, March 16.